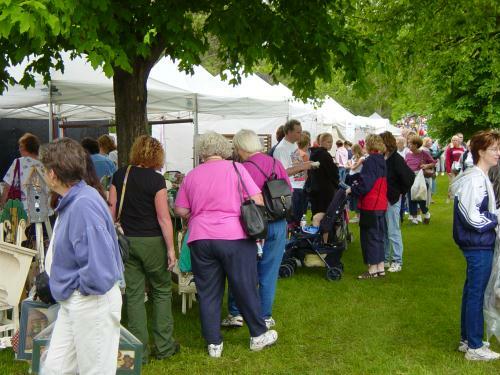 The New Richmond Area Chamber of Commerce & Visitors Bureau proudly invites you to join us on June 7 & 8, 2019 for the 52nd Annual Park Art Fair. This popular event attracts huge crowds and we encourage you to share the experience and join the fun. In 2018 we were awarded a tourism grant that allowed us to extend our reach in advertising for this event and it continues to grow in popularity. We are ramping up the FREE family and kid’s activities at this event and increasing our food – to draw an even bigger crowd. The Park Art Fair opens Friday, June 7th 4-10 pm and in recent years has arguably become the hottest hours for visitors and shoppers! Last year we saw more than 2500 people come out on Friday to eat at the food trucks and shop. Set up will be Friday 8am-3pm. No vehicles will be allowed to drive into Mary Park after 3pm on Friday for the safety of guests to the park. We have a beer garden opening at 4pm, FREE live music, delicious food vendors, Helicopter rides at Sunset (weather permitting) and FREE family activities.